If you have a painful corn you should consult a chiropodist or podiatrist for a proper diagnosis and for the corn, callus or hard skin to be pared down. 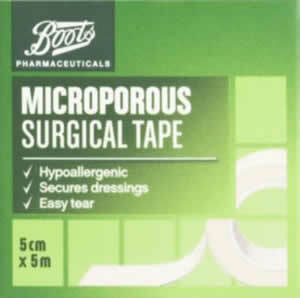 Please do not pare down your own corns or use salicylic acid corn plasters as these can be dangerous. If you can’t afford to see a private chiropodist or podiatrist please ask your GP if you can be referred to your local NHS podiatry department. Whether you will be allowed an NHS podiatry appointment will depend on your medical need. If an NHS podiatry appointment is not an option and you can't afford private treatment then what can you do? look carefully at your footwear choice - tight narrow shoes, unsupportive shoes and pointed shoes will make your problem worse. pad the area - how do you do this? I have marked the skin on the little toe where you typically might find a corn. 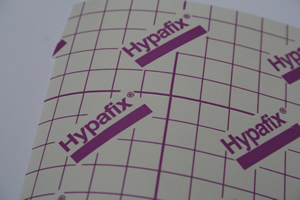 Tape – Hypoallergenic tape is best such as Fixomul or Hypafix. 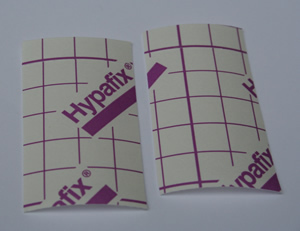 Many people have micropore already at home but this is not the best option. Scissors that are sharp enough to cut through the chiropody felt. 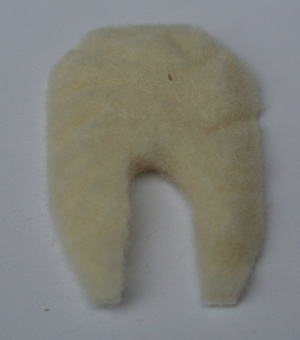 Take a large sheet of chiropody felt and cut a small rectangle (about 2 x 4 cm). 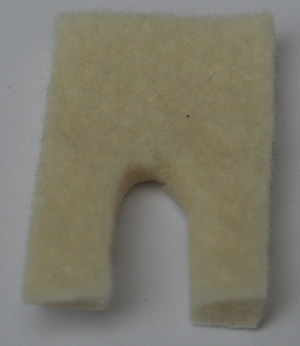 Remove a small piece of the felt as shown below, trim the corners to leave a crescent shape. 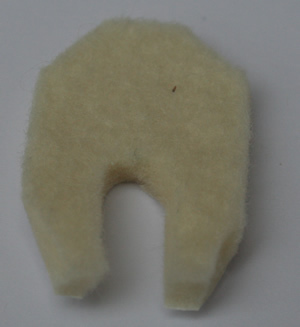 Chamfer the edges and then trim further using a pie crust effect on the outside of the felt pad. Make sure the skin is clean and dry. Do not apply foot cream. 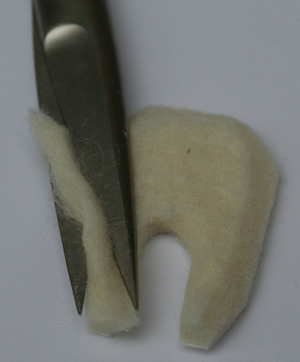 If you have recently applied foot cream to the area the felt pad might not stick to the skin. 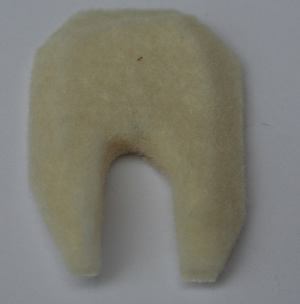 The aim of the felt pad is to deflect the pressure away from the corn. 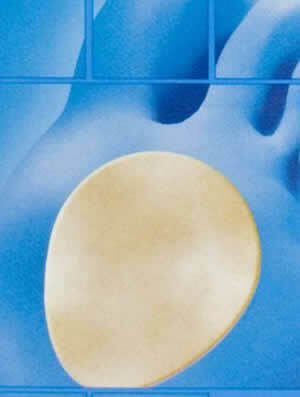 Place the pad in the correct place for your toe and particular corn. If you place the pad on top of the corn or too near the corn you might increase pain in the area. Carefully place tape over the felt pad. 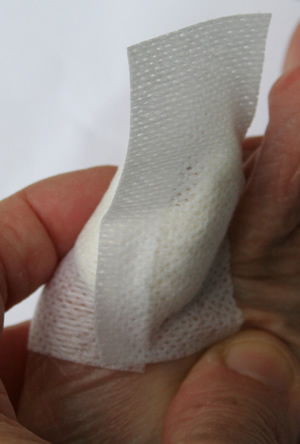 Do not wrap the tape completely around the toe because you might hinder the blood circulation to the toe. It is OK to get the area wet in the bath or shower. 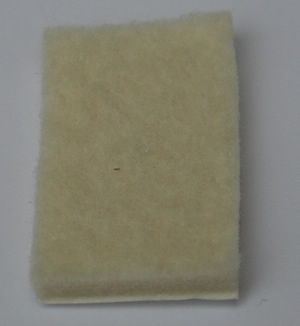 Remove excess moisture from the felt pad by gently patting the area with a towel. If the area on your toe is infected with a bacterial infection rather than just a corn or hard skin then it might be red, swollen, very painful, throbbing and/or hot. 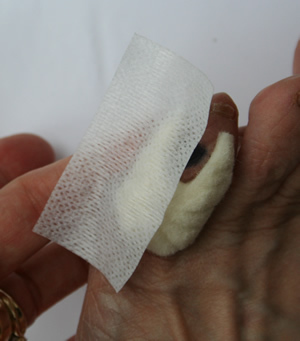 If the toe is infected you should see your GP or a chiropodist or podiatrist as soon as possible. If you are diabetic or have other medical problems you should not self treat and should urgently seek treatment.